Here's an EAGLE advert (from the issue cover-dated 27 September 1986) for the DAN DARE COMPUTER GAME, based on the Frank Hampson original rather than the current Eagle incarnation. 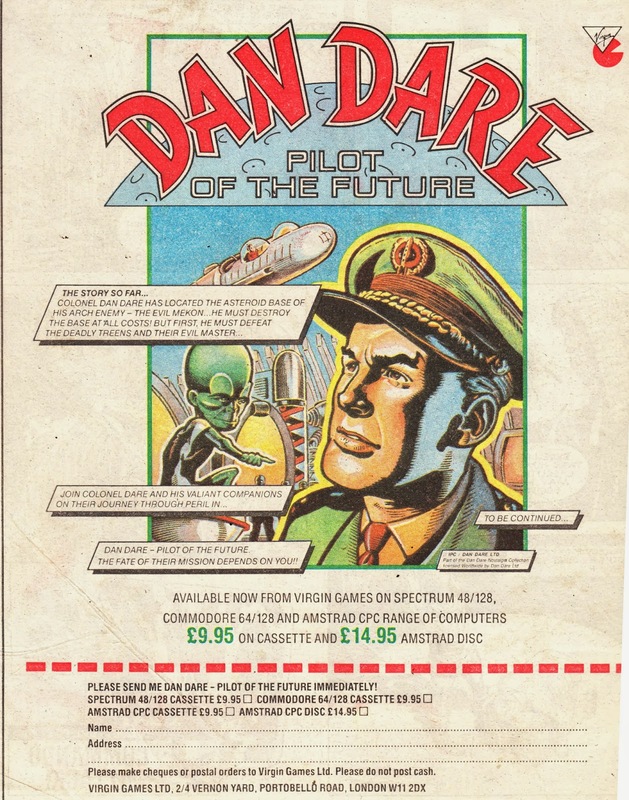 I remember having this game (or - actually - a copy) for the Spectrum Plus (on cassette... which took ages to load and always threatened to screw-up) and it did - indeed - provide a few hours of entertainment. It was - as I recall - a platform (is that the parlance?) game with a blocky Dan blasting equally blocky Treen troops on an alien space station. I also recall - possibly at the very start - having to pilot the Anastasia. I was a bit crap at games (nowt changes) so I have no idea what happened after that.